Independent Filmmaking is the future of the film industry in the UK. Every year more and more films are financed and made independently outside of the large studio systems, many of which go on to sweep the boards at awards ceremonies. Independent filmmakers are known for their creativity, technical ability, problem solving and communication skills, alongside their capacity to create thought provoking and exciting stories. The UK is a world leader in award winning independent films and Futureworks is a frontrunner in educating passionate dedicated students in the art of filmmaking. Working with award winning professionals on industry-standard equipment and the latest software, every student has the opportunity to realise their creative potential. Upon graduation you will achieve not only a recognised degree qualification, but will also be equipped with a strong portfolio of film productions and showreel making you ready to hit the ground running on an exciting and fulfilling career. This course, developed in consultation with industry, is designed to equip hard working and enthusiastic individuals with the skills to succeed as independent filmmakers with the ability to create their own films or work in the rapidly growing media industry. The first year is the foundation of the course, introducing you to the building blocks of Independent filmmaking. Building on your first year, year two is essential in establishing a career focus and shaping your final year. 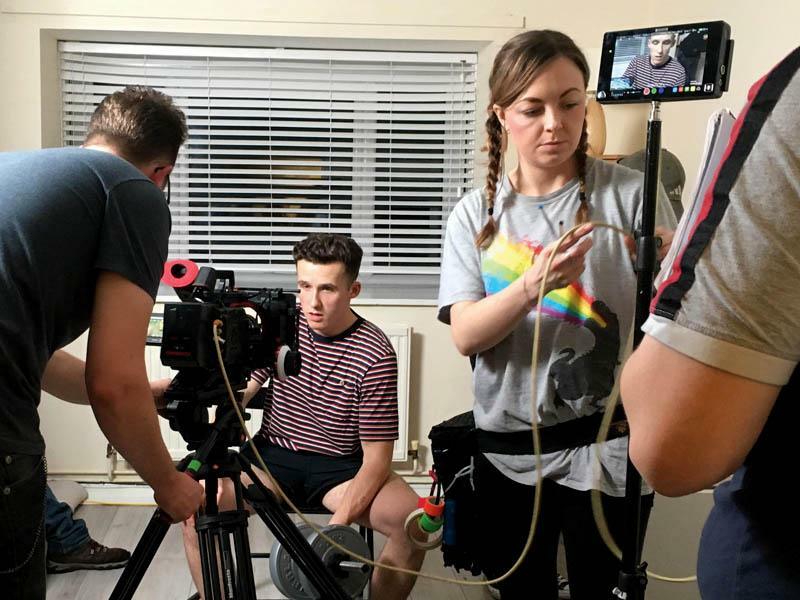 In the final year of study, you will be completing a professional portfolio of work and will be focussing on an area of specialism in the field of independent filmmaking. Your final year honours project will require you to make your own film which could be a short film, or could even involve a team of students teaming up to make their first feature film together. Our course focuses on the real world of filmmaking. You will be working within incredible facilities, using the exact same equipment and software that is currently used within the industry. We have a hugely impressive studio space located just ten minutes away in Media City that can be adapted for any need – whether creating a studio, building sets or using green screens – a great shooting space in which you can bring your creative vision to life. You will work with enthusiastic and highly experienced tutors – all our tutors have worked in the industry and have a raft of big name film credits. If you have similar enthusiasm, then you will feel at home at Futureworks. Our tutors want you to succeed while you are here, but they also want to see you succeed when you leave us. One of the bonuses of studying at Futureworks is the unique collaborative experience. Not only can you work in partnership with students on your own course, but also with students from other departments like sound, visual effect and editing – there’s a real sense of creative collaboration among like-minded people all trying to produce their very best work. This is something we encourage because it reflects the way the industry itself work. By the time you have completed this degree, you will have so much more than a qualification. We aim to fully prepare you for a long-lasting and successful career in filmmaking, not just a job in the film industry. While you are with us, you will have the opportunity to make films that will be shown at film festivals – real films at real festivals. We also expect you to have professional grade work in your portfolio, together with IMDB credits. We also want you to have your first feature film idea ready to go by the end of your course. A fully prepared proposal with everything in place, ready for you to approach investors. In short, by the time you complete the course you will be an independent filmmaker ready for your chosen career – that could be in the world of music videos, short films, documentaries or even blockbuster feature films.